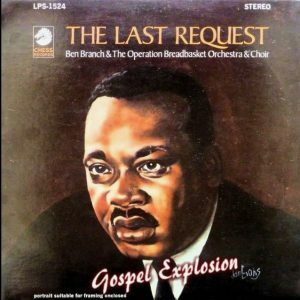 What hymn, beloved of Martin Luther King, Jr., was composed by the Father of Black Gospel Music after a personal tragedy? As I recollect that day, I hear the sounds my parents made moving around the kitchen as I did my homework in the other room. I hear water running, sounds of the refrigerator door opening and closing, the gentle clink of pots and pans, Mom and Dad’s voices in casual conversation, the news playing in the background, my pencil scratching out ideas for a paper that was due at school. And then everything changed. Voices stopped mid sentence. The faucets were turned off. My pencil froze. The voice of the newscaster was turned up. And I knew. Now, in church after church and at King commemorative events all around the country, choirs and congregations sing “Precious Lord” in his honor. The hymn was written by Thomas A. Dorsey (1899-1993) — not Tommy Dorsey, big band leader. 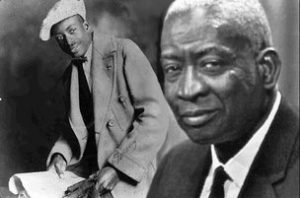 Dorsey, the son of an itinerant preacher and a piano teacher, was drawn to the blues during his childhood in the south and was performing by age 12. After moving north as a teenager, he studied at the Chicago College of Composition and Arranging, then started playing nightclubs, brothels, and at tenant rent parties under names like “Georgia Tom.” In the 1920’s, he and his “Wild Cats Jazz Band” accompanied Ma Rainey. Following a period of illness, Dorsey found himself in the arms of a merciful God at the Pilgrim Baptist Church in Chicago. Week after week, Dorsey’s faith deepened. His wife and their infant son were buried in the same casket. 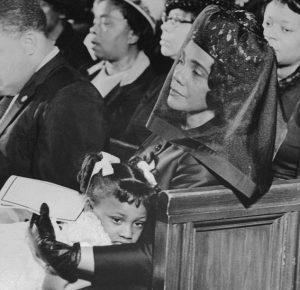 Dorsey felt like he was buried too and withdrew in despair and grief. Angry at God, he didn’t want to sing or write another note of gospel music. More words came, “Hear my cry, hear my call, hold my hand lest I fall.” In the depth of his despair, the words and music of this hymn came to him, as if dictated by a great and compassionate force in the universe. Its composition healed him. 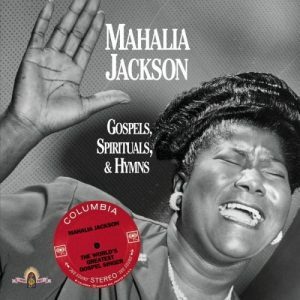 Days later, it was sung by the choir at the Ebenezer Baptist Church in Atlanta, where Rev. 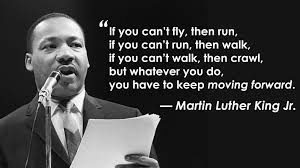 Martin Luther King, Sr. was pastor. 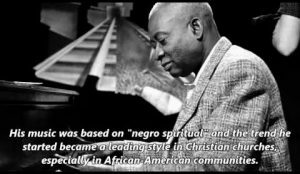 He founded the National Association of Gospel Choirs and Choruses, started a publishing company to promote the gospel music, and earned the title, “Father of Black Gospel Music.” He was the first African American to be named to the Nashville Songwriter Hall of Fame. Today, his archives are maintained at Fish University. “Precious Lord” became a hymn to comfort a nation in mourning for its slain son, Martin, and has become a favorite song of solace for millions, sung when we are lost and feeling weak and worn. It will comfort us again; the storms of life are inevitable and nights of grief are long. Dorsey’s song was a gift born of tragedy. Singing it, we remember that we are loved and, like its composer, can find our way home again to the arms of a loving God. “Thomas A. Dorsey Is Dead at 93: None as Father of Gospel Music” Obituary by Eric Pace, The New York Times, January 25, 1993.